Well, it’s about to happen. Sandra Phiney’s book is rolling off the presses and will be launched a the AGNS Wednesday June 18 between 6-8 p.m. She’d love to see you there. Sandra calls it a “wee book” but although it’s relatively small (8.5 in. x 5.5 in; 108 pages) it is loaded with 190 photos. 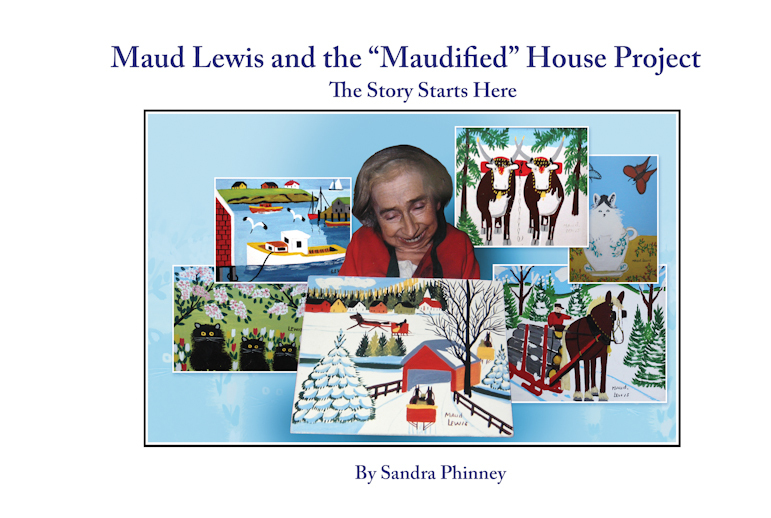 Aside from enjoying refreshments and camaraderie at the book launch, you’ll also have a chance to view a TV documentary that CBC produced in 1965 titled “The Once Upon a Time World of Maud Lewis.” The Friends of the AGNS (Yarmouth) purchased the film and will be showing it at half hour intervals throughout the launch. It’s a great chance to see live footage of Maud and Everett in their home in Marshalltown. This entry was posted in Maudified House Project. Bookmark the permalink.